Here we are, the last day of the year. Really? I cannot really believe it! And what a year it has been! 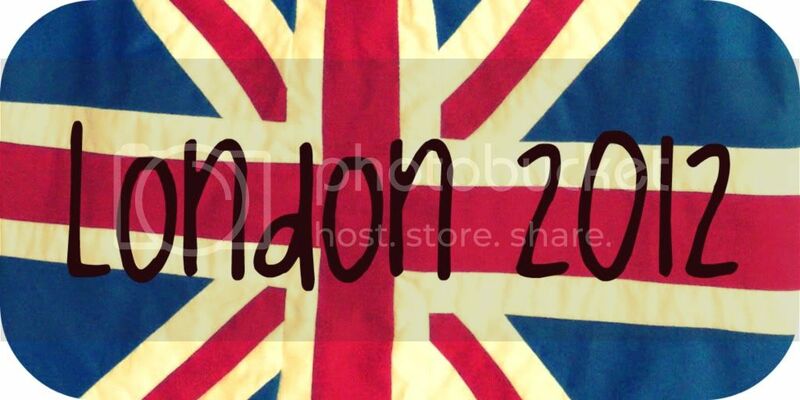 In July, I watched Basketball, Badminton, Diving and Athletics at the London 2012 Olympics. I thoroughly enjoyed exploring the Olympic park and soaking up the great spirit that was abound in Britain at the time. 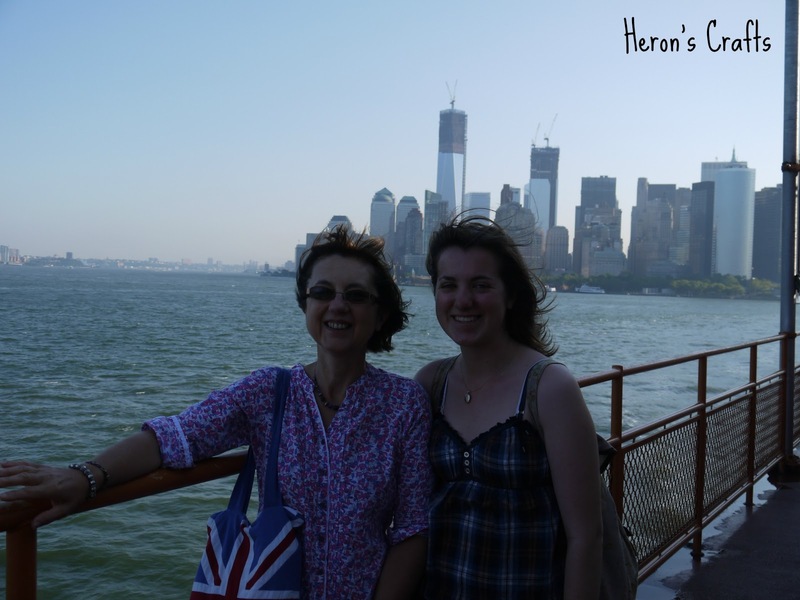 In August, my Mum and I spent a fantastic 4 days in New York, seeing the sights and going shopping. Going to New York has been a dream of mine for ages, and I did not expect it to happen in 2012 but I am so pleased it lived up to all my expectations. In November, I turned 21 and my parents took my to Hartlepool and Durham for a relaxing weekend on the coast and visiting Durham Cathedral where some of Harry Potter and the Chamber of Secrets was filmed. 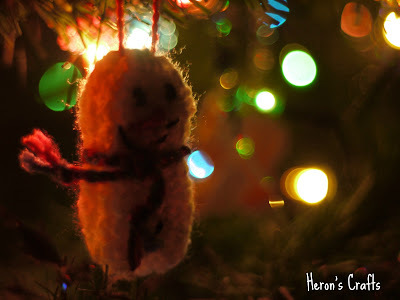 I have knitted, sewn, cooked and crafted more this year than possibly any year in my life! On the first of January 2012, I set myself 6 goals and I am delighted to say that I have done pretty well! Ok, So this was probably my weakest progress. I can crochet, as in I can do the stitches I just cannot start anything off - I don't know why but I just couldn't get my head round it! So, when December rolled round and I still didn't have a decoration, I had to improvise slightly! I crocheted a rectangle and then sewed into a snowman shape and sewed on features to complete it...It looks OK but I know that I didn't do it exactly properly! Crochet isn't something I really took to so I will be concentrating on challenging myself in my knitting instead. YES! Success here! I completed this aim in June! I am really pleased, although my running tapered off slightly in the second half of the year - getting up at 6am and not leaving the library until 5pm, I have struggled to fit in runs! Here's hoping Uni work calms down a bit this term! 5. Continue to develop this blog - more posts, series and ideas! This my 209th post of the year! 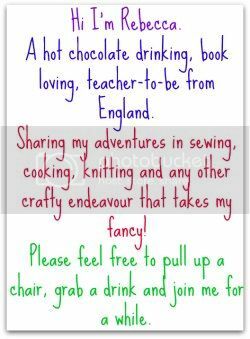 I have posted several recipes, projects and bits of my life with you all and I have thoroughly enjoyed it. 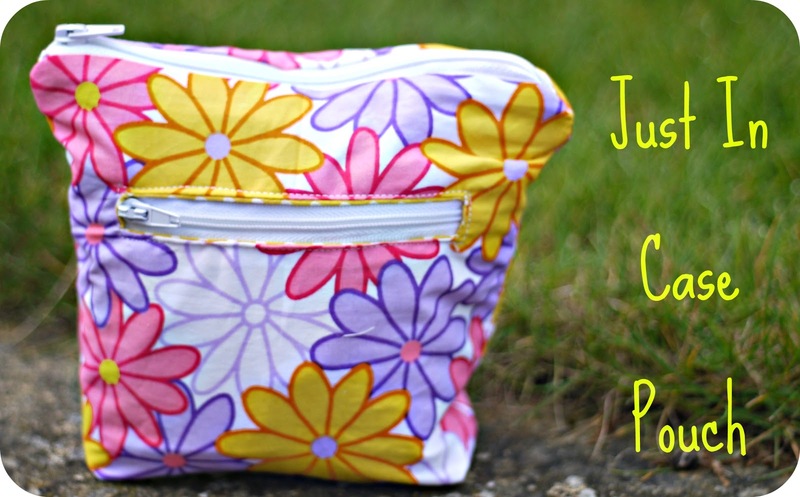 I love blogging, I think without it, I would slip out of sewing and cooking and challenging myself creatively and there are things that I absolutely love doing so I am really glad to have this motivator here! And branched out to Facebook and Twitter! But more than all those I have actually made some great friends through blogging and hope that those friendships will continue! Wow, when you put it all down like that, I have had a very busy year! I can hope that 2013 is as good! I will be posting my aims for 2013 tomorrow! Hope you all have a great night, make the most of your last day in 2012! I completely agree! I am thrilled about how much I enjoyed reading them all over the last 6 weeks! Epic! Thanks! I hope you new year is fabulous too! 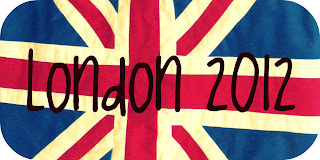 Looks like a great year, especially jealous you got to go to the Olympics -how epic! Hi! I'm a new follower from the blog hop. Love your blog! Happy New Year!!! Thanks Rebecca for visiting me and for your sweet words. Looks like you had an amazing year! Wishing you a very Happy New Year filled with health and happiness! 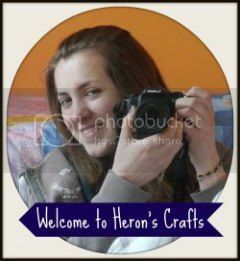 Thank you so much for visiting Heron's Crafts! I love receiving your comments - and try to answer to all comments received by email! Have a great day! I work really hard on this little old blog of mine, and I love it if you guys try out my recipes or tutorials. However, I ask that if you give any of these a go on your blog, that you provide a link back to my site. Also please ask permission before using my photos - I would love to visit your site too, so drop me a message!